It’s possible we’ve come across one of the most inspiring cruise ship videos in recent months with this drone video. 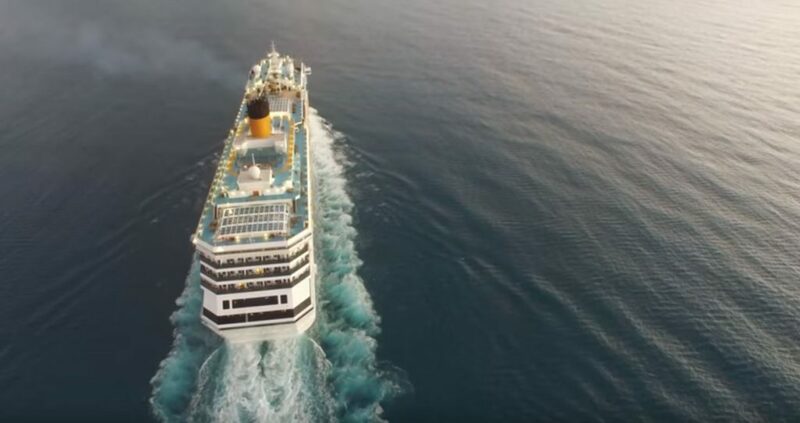 Cruise Hive has come across this inspiring cruise video that was filmed using a drone on October 12, 2015. We love cruise ships so just had to post the video for readers to enjoy. The drone filmed the Costa Pacifica as it was setting sail from Katakolon in Greece. The large Costa ship is sailing a range Mediterranean cruises from Civitavecchia, Italy and Katakolon is a popular destination on the itinerary. The drone gets some breathtaking footage of the ship including a fantastic view directly above. Costa Pacifica is 114,00 gross ton ship and can carry 2,840 passengers at double occupancy. The vessel is identical to the Carnival Splendor and also other ships in the Costa fleet. How do you feel after watching this video? Ready to get cruising? ;) Let us know in the comments below.